The displayed fares were last found on: Tue | 23 April 04:47 PM(EST) . Fares are round trip. On this Cheapfaremart webpage, we have listed red eye flights available from your city to eastbound destinations. All airfares are for round-trip flights and contain fuel surcharges, our service fee and taxes. Flight services and respective airfares are subject to change based on the availability of flights with airlines. Cheapfaremart, its employees, and affiliates shall not be held accountable for any such variations. What is a red eye flight? A red eye flight usually departs after 9 pm in the evening and arrives at the destination airport before or around 6 am next day. The overnight journey in the air leads to sleeplessness and reddening of eyes. Hence, the flight got its name – redeye flight. This pain results into potential gain. It leaves you with sufficient time on your next day. Business professionals prefer red-eye flights as it helps them to catch up with their work on both days – the day they are departing to from their city and the next day when they are to arrive at their destination. Time-difference between zones plays an important role in defining the time lost or gained by passengers while traveling with a red-eye flight. 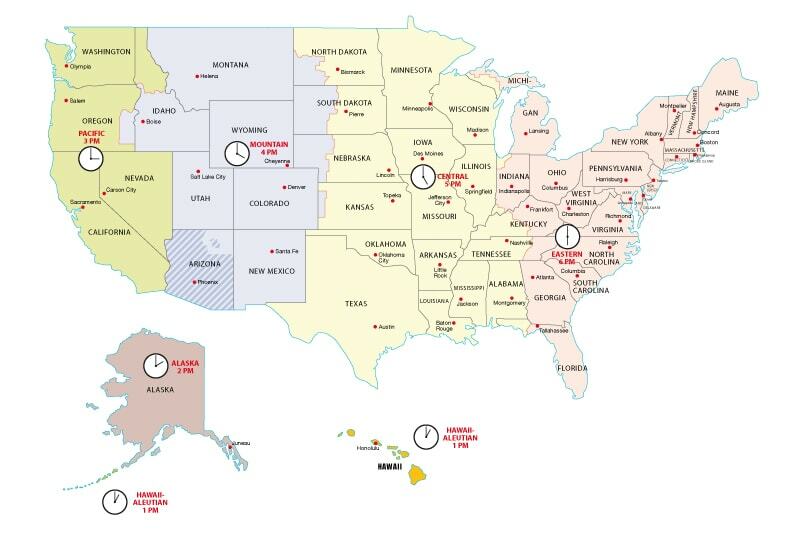 The US has six different time zones as highlighted below. Passengers traveling from the cities located in a time zone of Hawaii, Alaska or Pacific to cities in Eastern Coast like New York City, Philadelphia or Miami lose their time while those traveling opposite to it gain time as they travel to a time zone which is late. Let’s understand this with an illustration. Note: NYC is 6 hours ahead of Hawaii and flight time is 9 to 10 hours approximately. Her secretary found 3 flight departures – 9 pm, 7 pm, and 5 pm on Sunday. Obviously, of the 3 choices, the 3rd option would be most ideal that will give Lisa enough time space to reach the meeting venue. In no circumstances, she can take a flight departing later than 9 pm. Though she will have her night in the air, the boarding time is much earlier than what we defined (9 pm or later) for a redeye flight. Conclusion: A domestic flight from West to East with a flight duration greater than 4 to 5 hour does not fit in the criteria of red-eye flight. Flights connecting Hawaii with Easter Time zones will always exceed this flight time. Flights from Hawaii to Mountain or from Pacific to Eastern Time may be redeye flights. Lisa’s secretary found 3 flight departures again – 9 pm, 10 pm, and 11 pm on Monday. Though after finishing the meeting Lisa can take a flight anytime. All three options fit well in the definition of red-eye flight (departing late night and arriving early morning), and will make her resume her office on the next Tuesday. Conclusion: From east to west, the flight duration has to be at least 6 hours or more to be called as redeye flights. So flights from Eastern to Pacific Time zones may not be a redeye flight. Many flagship as well as low-cost carriers operate red-eye flights from the cities or airports in the Eastern Time zone to cities or airports in Europe. 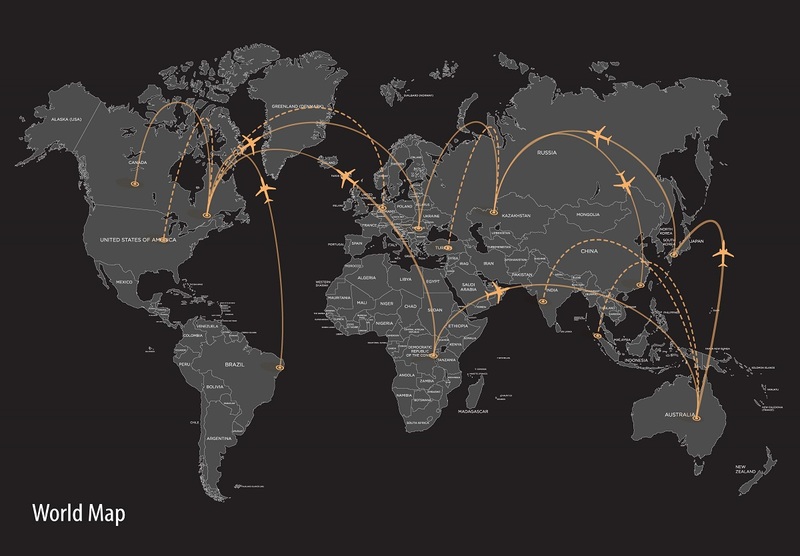 Some popular flight routes are mentioned for your reference. Many flagship as well as low-cost carriers operate red-eye flights from US cities to those in South America. Some popular flight routes are mentioned for your reference. Red-eye destinations are perfect for a weekend vacation. With Cheapfaremart, plan your family or corporate vacation. Choose either round-trip or one-way flight with an airline that takes less flight time. We have made booking red eye flights easier than ever. Our flight booking engine responds intelligently to your flight search query and presents the best airlines for red eye flights. Pick from the list of red eye flights comprising of nonstop and direct flights. We understand your need and value your time and help you cope with any kind of urgent travel requirement. Contact our customer service officer to know about the last minute red eye flight deals available and book cheap red-eye flights. Discover top red eye flights available under Economy, First and Business Class and do an effective comparison with options available with different red eye airlines. Book your red eye flight ticket for your domestic or international travel with Cheapfaremart to save big. To make the most of your red-eye flight, we recommend you to book a window seat so that you don’t get distracted by the frequent movement of the fellow passengers. Most of the airlines will charge an additional amount for that. Considering the value of a sound sleep, it’s adjustable. If you love listening to music, get earplugs or noise-cancelling headphones. Get to know about the time zone differences and adjust accordingly. Plan your upcoming business day in advance. On reaching the destination, make sure you grab a light breakfast before venturing out for sightseeing or intended purposes. Try to skip sleep until close to your typical bedtime. Why Book Red Eye Flights with Cheapfaremart?